Golden Sphere Studios will ship your order to you free of charge! If the item is on hand, in most cases it will be shipped within one to two business days. If the piece is “traveling,” it may take longer. We will be happy to confirm a delivery date at the time of your order. 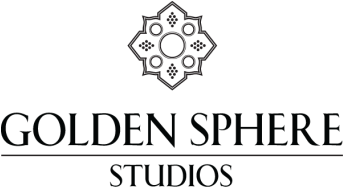 If you have any questions, contact GSS at info@goldenspherestudios.com. GSS only accepts returns on items purchased through the Golden Sphere website. For questions regarding returns of purchases not made through goldenspherestudios.com, please contact the retailer or gallery from whom you purchased your Kent Raible jewelry item. All returns must be made within 7 days of their receipt, must be returned in their complete and original packaging, must include a copy of the original receipt, and be in unworn condition. To start the returns process, you must send an email to info@goldenspherestudios.com requesting a 'Return Authorization' number, state the reason for your return, and include your preference for an exchange or a refund of your payment. The RA# you receive from GSS must be clearly marked on the outside of the return box along with your return address. Any package without a RA# clearly written on the outside of the package will be refused and returned at the shipper's expense. Purchaser is responsible for return shipping costs and must insure the package for the full purchase price. The package must be shipped with a tracking number from the shipper. Purchaser must be sure item is packed properly to avoid loss or damage. You are responsible for the condition of the piece as it is received by Golden Sphere Studios. Once the item is received and its condition has been verified, GSS will process your request for exchange or refund. You will be notified of your refund or credit for exchange at this time via the email address you have used to correspond with us concerning the return. Refunds will be solely for the original purchase price of the item, and will not include reimbursement for any shipping or other costs incurred by purchaser. In the case of exchanges, the cost of your return shipping will be credited to you along with the original purchase price as long as a copy of your shipping receipt is included in your package. GSS will do this one time only. Shipping costs beyond the first exchange will be at the cost of the purchaser. Any items sized or otherwise altered from their original state are a final sale, and as such are not returnable for refund or exchange. Items made to order or commissioned are not returnable for refund or exchange. We reserve the right to not ship special occasion jewelry or to ask for a signed confirmation indicating your commitment of a final sale during holiday periods.